For anyone grappling with the complexities of development, you may agree that finding replicable models can be challenging. In West Africa, the persistent challenges of low investment in seeds, insufficient private sector participation in the industry, the absence of public-private partnerships, and poor-quality seeds might have found a solution. This is all thanks to an innovative program of the West and Central Africa Council for Agricultural Research and Development (CORAF) implemented since 2012. Titled the West Africa Seed Program (WASP), it is today credited for considerably improving the availability of seeds to farmers and enabling countries to adopt legislation allowing cross-border trade. Funded by the United States Agency for International Development, the World Bank and other donors, WASP succeeded in convening the critical players in the region to work together to make quality seeds accessible to farmers in West Africa. Satisfied with results of the WASP model, key partners in the industry across West Africa met in June 2017 to learn from the model, identify lessons and establish a roadmap to take the West African seed industry to the next level. Out of that meeting, emerged concrete recommendations to ensure the model is scaled up proportionately to the level of the potential of the seed industry and the ambition of the governments and communities of the region. Below are the three-dimensional recommendations on regulation, agribusiness, and financing to focus on in the next phase of the program. Enhancing implementation of the Seed Regulation at the country level. Expanding quality assurance through the use of alternate quality control models. There should be the pursuit of alternate quality control systems, such as quality declared system and the use of accredited private internal seed testing facilities to make the cost of seed certification less prohibitive and widen the benefits of seed testing to cover a wider range of crops. Minimizing hindrances to cross-border seed movements. There should be concerted efforts to minimize hindrances to cross-border trade, through training of non-traditional actors and advocacy among policy makers and other national and regional partners. Clustering for advancing the seed sector. It was thought that when the participating countries are grouped according to their degree of advancement in the Seed Harmonization process, particularly in terms of capacity, facilities, and results, faster overall results would be achieved since targeted interventions, regarding the different needs, would lead to better results for each group. Agribusiness Expanding the use of the WASP Business Model. The WASP Business model has been found to be an appropriate tool and needs to be consolidated, up-scaled, adopted more widely and made more accessible to partners through promotion and sharing of the model among ASIWA stakeholders. Quality seed demand creation was considered a weak link. In a possible follow-up to WASP. 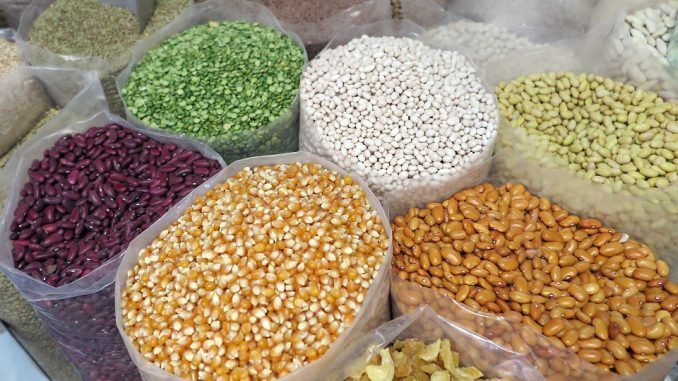 A major demand raising component should be incorporated, involving extension, research, and the private sector empowerment, aimed at growing seed demand and the strengthening the seed value chain of all the covered crops to establish a robust basis on which the industry will thrive. Financing Enhancing Credit and Funding Support to the Seed Industry. The private sector needs to advocate for the improvement of credit delivery for the seed industry as well as the full institutionalization of the Seed Sector Support Fund enshrined in the Regulation and its sustainable applicability to the range of components that are critical to the growth of the industry in the participating countries. For details on the full report of the learning event, please click here. A 2016 independent mid-term evaluation of the program highlighted successful approaches that could be up-scaled to enable the seed industry to kick-start the desired transformation in agriculture. These include the implementation of harmonized regional seed regulation in seventeen West African countries and promoting the seed demand forecasting tool. Other success stories of this model include creating business models, leveraging private-public partnership in the seed sector, ensuring regional seed resilience, and putting in place a vital monitoring and evaluation system.